In Russia, the state-owned Primorsky Krai Development Corporation has reportedly declared that it will be holding an auction later this month for two parcels of land in the casino-friendly Primorye Integrated Entertainment Resort zone near the port city of Vladivostok. According to a report from GGRAsia, the upcoming auction, which will be open to developers hoping to build casino resort projects, is scheduled to take place on May 29, the day after the application process ends. The combined 34.5 acres is reportedly expected to fetch a minimum of $125.4 million. GGRAsia cited Igor Trofimov, Interim General Director for the Primorsky Krai Development Corporation, as explaining that the sites to be auctioned are located near the center of the Primorye Integrated Entertainment Resort zone and encompass a small 7.1-acre plot alongside a parcel that is just over 26.6 acres. Thanks to federal legislation ratified in 2009, the Primorye Integrated Entertainment Resort zone is one of only five disparate areas in Russia where casino gambling is permitted. 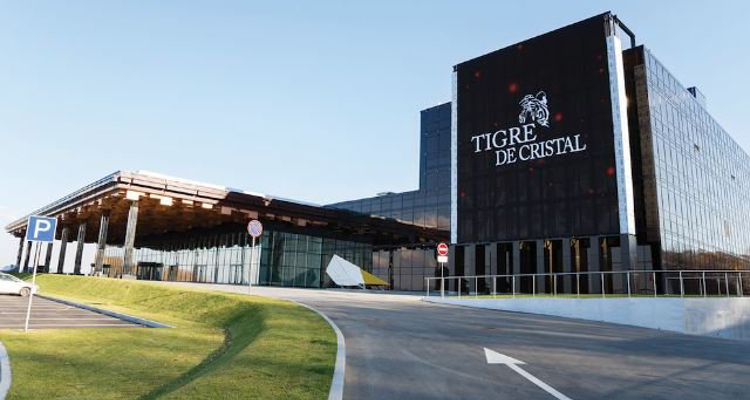 Hong Kong-listed Summit Ascent Holdings Limited subsequently became the first operator to open a casino resort in the area some 31 miles north of Vladivostok in 2015 when it premiered its $144 million Tigre De Cristal venue. Furthermore, last month saw Cambodian firm NagaCorp Limited begin construction on the foundations for the first phase of its nearby Naga Vladivostok development while local operator Diamond Fortune Holdings remains hopeful of inaugurating the initial phase of its planned $900 million Selena World Resort and Casino sometime next year. Trofimov reportedly declared that he would ultimately like to see the Primorye Integrated Entertainment Resort zone host ‘at least eight hotels with restaurants and casinos’ as well as family-friendly ‘entertainment facilities’. “It is important to understand that our main task is to create an integrated entertainment resort area, which implies not only the development of gambling and hotels but also the full development of the entertainment sector,” reportedly read the statement from Trofimov. In hopes of attracting potential casino operators to the Russian Far East, Trofimov reportedly reiterated a pledge that the local government would not be increasing monthly gaming taxes beyond their current levels, which stand at $119 for every slot alongside $1,987 per gaming table.